The material is based on lessons presented at the Dvoretsky & Yusupov chess school and is divided into three main sections. 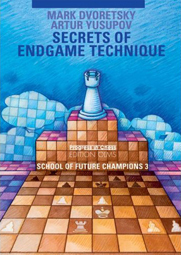 The first part focuses on endgame theory: topics include how to study the endgame and the theory and practice of rook endings, pawn endings, and opposite colored bishop endings. The second part is devoted to the analysis of complicated practical endings: topics include connected passed pawns, adjournments, and knight endings. The third section discusses developing the necessary skills needed to convert an advantage as well as the theory and practical application of technique: topics include converting an advantage, technical procedures, grandmaster technique, and more. A fourth section offers one chapter of annotated games that were played by pupils of the school. Given that chess is being played with shorter and shorter time controls, the importance of playing the endgame well takes on even greater value. If you are inclined to tackle some high-level training material intended for strong players, you certainly cannot go wrong with this volume.